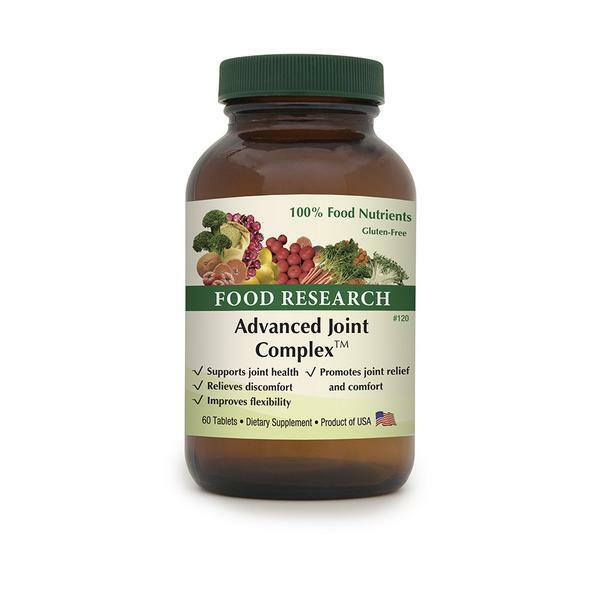 Complex – Doctors Research, Inc.
is a 100% Food supplement to supply nutrients, glandulars, and herbs needed to maintain optimal joint health. Herbs, like devil’s claw, have long been used to support joint health. Bovine tracheal tissue naturally supplies chondrocytes including glucosamine and chondroitin. 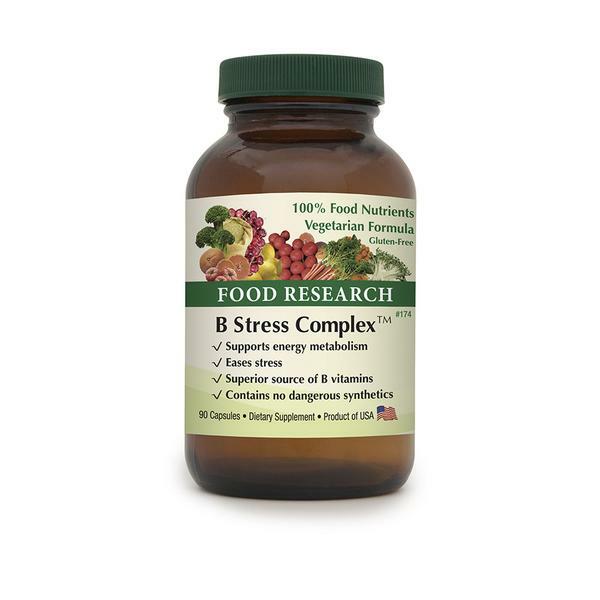 B Stress Complex™ is a 100% vegetarian Food supplement that is intended to supply 100% Food B vitamins. 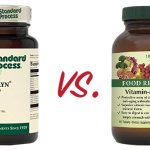 Unlike certain so called “whole food” B vitamin sources, it does not contain isolated USP niacinamide, pyridoxine hydrochloride, or any isolated “nutrients”. C Complex™ is a 100% vegan Food supplement that is intended to supply 100% Food vitamin C.
Unlike some other so-called “whole food” vitamins for supporting cardiovascular, immune, and other systems, it does not contain any isolated ascorbic acid. 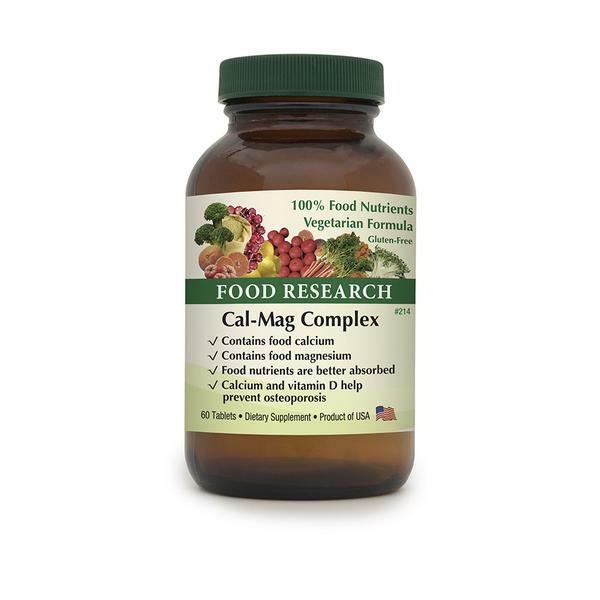 Cal-Mag Complex™ is a 100% vegan Food supplement that is intended to supply 100% Food minerals and vitamins to support optimal bone health. It contains no mineral salts like most “natural” comparable products do as the consumption of crushed rocks is not optimal for long-term health. Calcium Complex™ is a 100% vegan Food supplement that is intended to supply 100% Food (plant source) calcium. It does not contain calcium carbonate, calcium citrate, or calcium lactate. Research has shown that people who consume 300 mgs of Food calcium per day or less have low incidences of osteoporosis. Choline Complex™ is a 100% vegetarian Food supplement that is intended to supply real food choline. Choline has been considered as a type of B vitamin. Choline is required to make phospholipids and other substances necessary for all cell membranes, including myelin sheath which covers nerve cells. D Complex™ is a 100% vegan Food supplement that is intended to supply 100% FOOD vitamin D.
Inositol Complex™ was once called vitamin B-8. 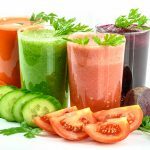 It is a lipotrophic factor, a chelater, and seems to have positive effects on the immune system. It also shares many of choline’s functions. 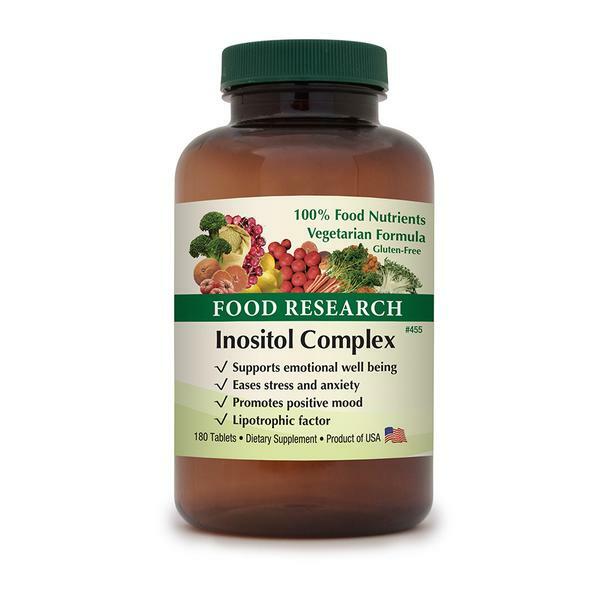 Supports emotional well being, it eases stress and anxiety, promotes positive mood and has a lipotrophic factor. 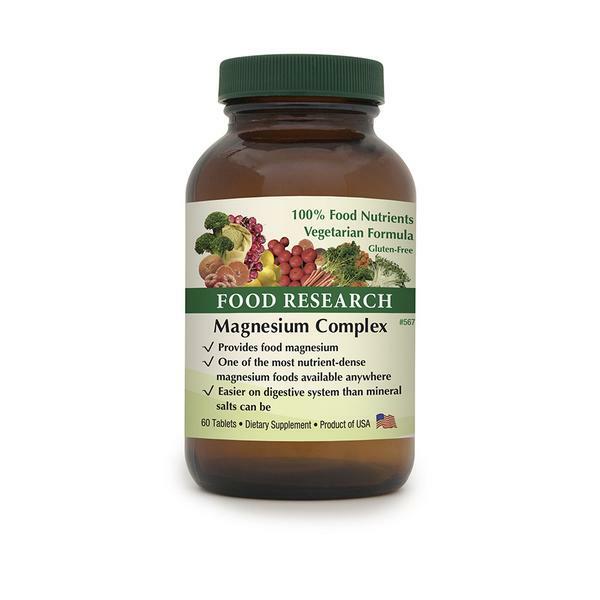 Magnesium Complex™ is a 100% vegan Food supplement that is intended to supply 100% Food magnesium. Magnesium is involved in 300 enzymatic steps in which components of food are metabolized and new products are formed. Zinc Complex™ is a 100% vegetarian FOOD supplement to supply nutrients needed to provide high quality 100% Food organic zinc (as opposed to inorganic mineral salt forms). Most researchers acknowledge that organic zinc is better absorbed than inorganic zinc.